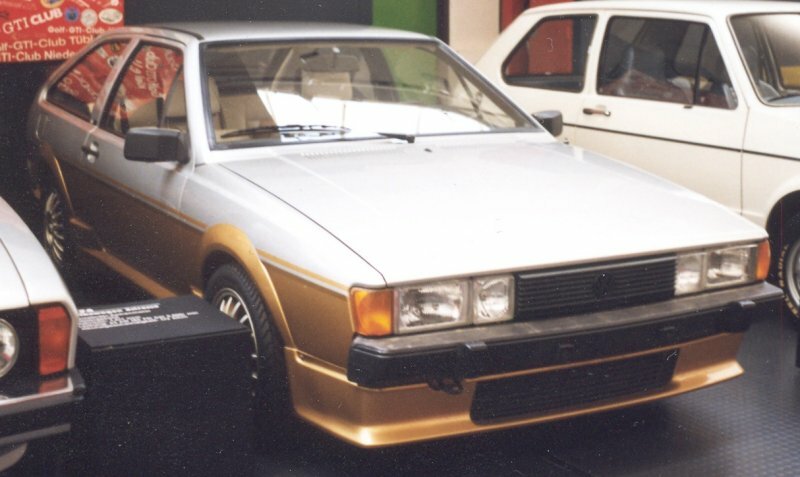 In the early 1980s VW experimented with various performance Scirocco prototypes, one of which is this Scirocco Turbo. The specially developed 1.7 litre engine produced an impressive 178 bhp that could propel the car to 138 mph. 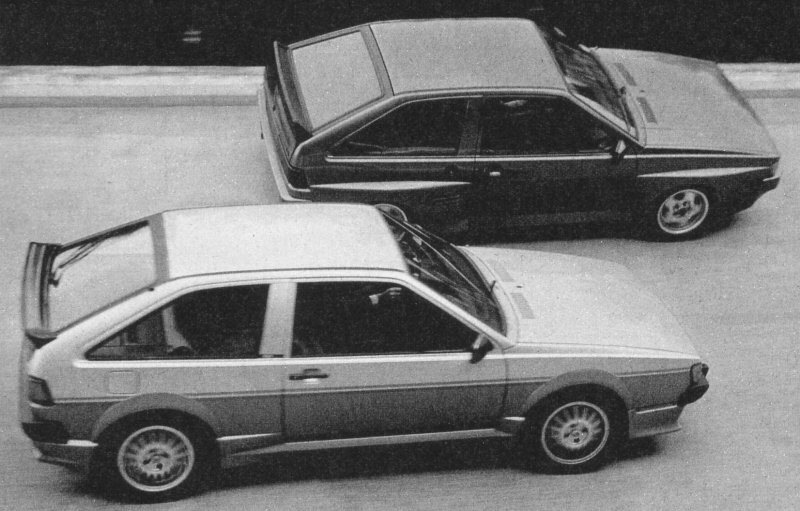 On the downside the Turbo unit returned a miserable 17mpg and when on boost the car proved difficult to handle. Turbo development was dropped in favour of the 16v unit and G-lader supercharging programs. 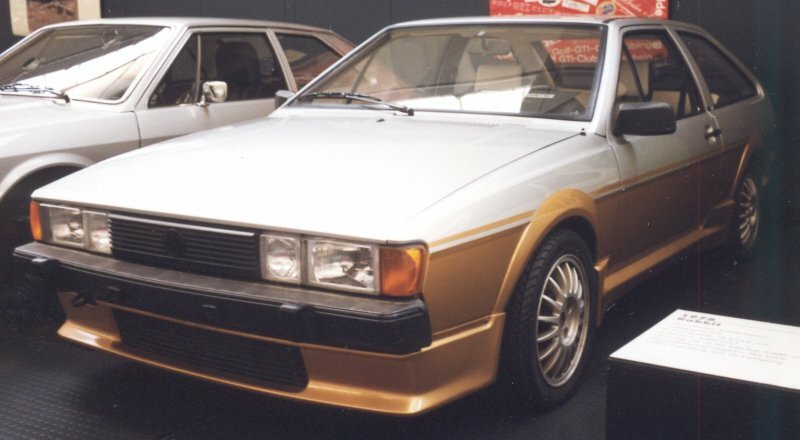 The car featured the Kamei X1 bodykit but used a special front spoiler. This had an extra grill that provided air for the turbo intercooler. The wheels were Audi 14” Ronal alloys. Notice also the number plate locators on the bumper. If the plate was mounted in its original location it would have restricted airflow to the intercooler. 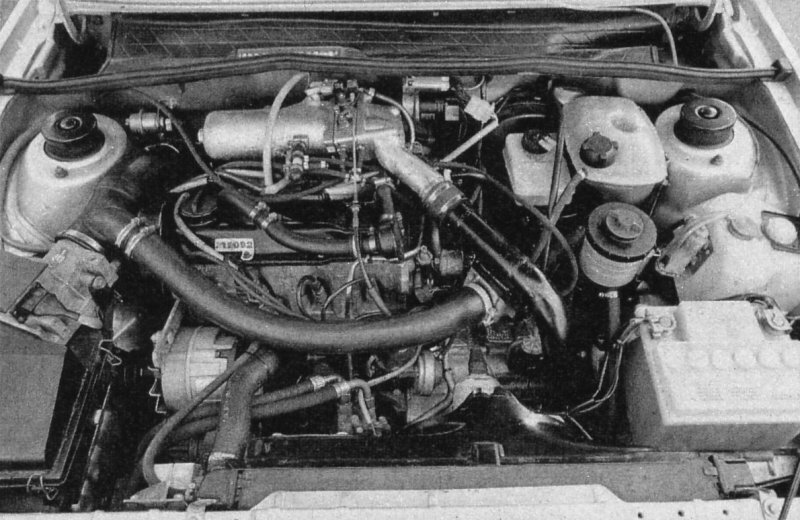 View of the Scirocco Turbo engine bay. Scirocco Turbo on the VW test track with the second Bimotor Scirocco. Very special thanks go to Chris Gaskell for the Turbo photos taken in the Wolfsburg museum.